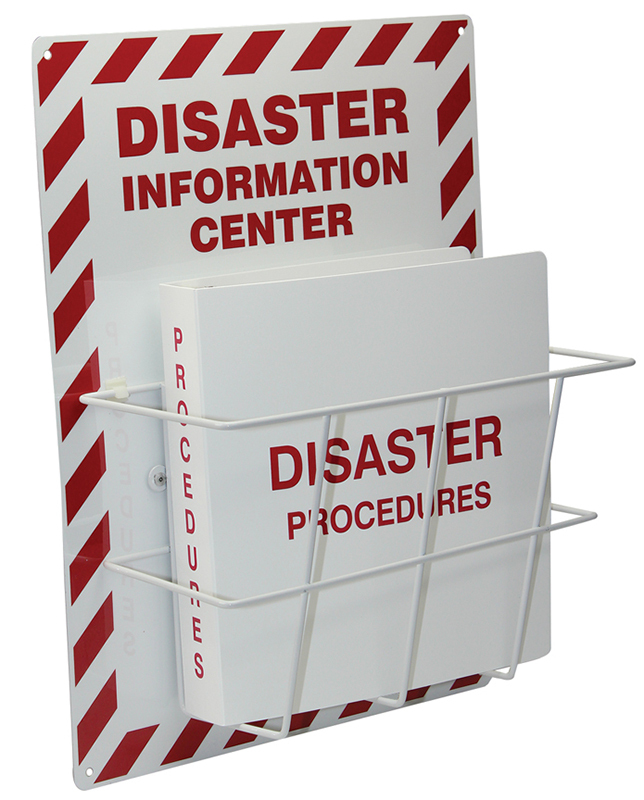 Whether it is a Disaster, Emergency or Security Procedure all employees must know what is expected of them in these situations. 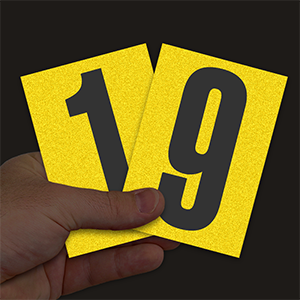 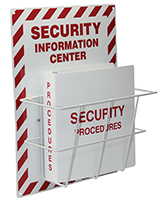 Display these kits in an easy to find and distinct location. 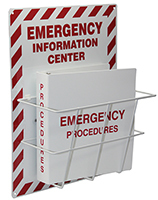 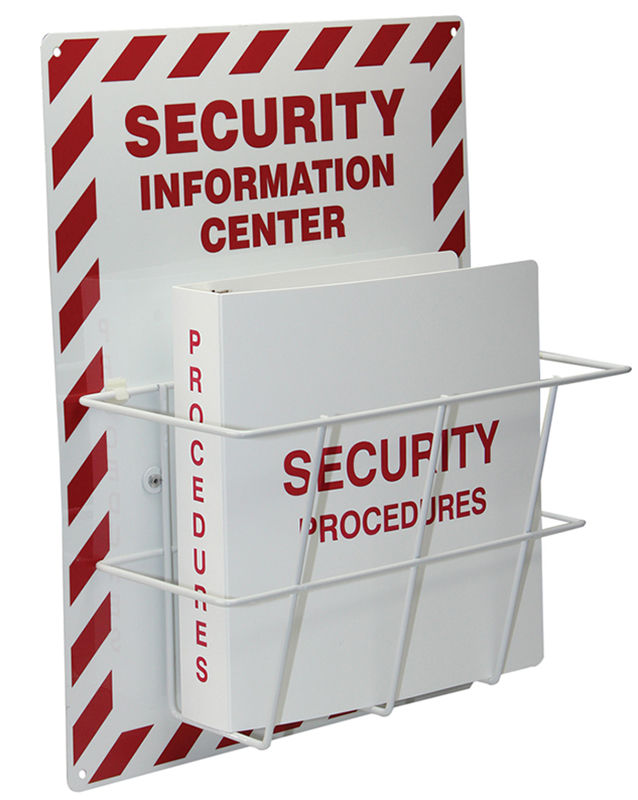 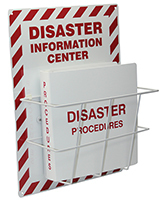 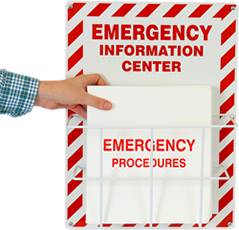 • Kit includes backboard sign display, wire rack and 1.5" binder. 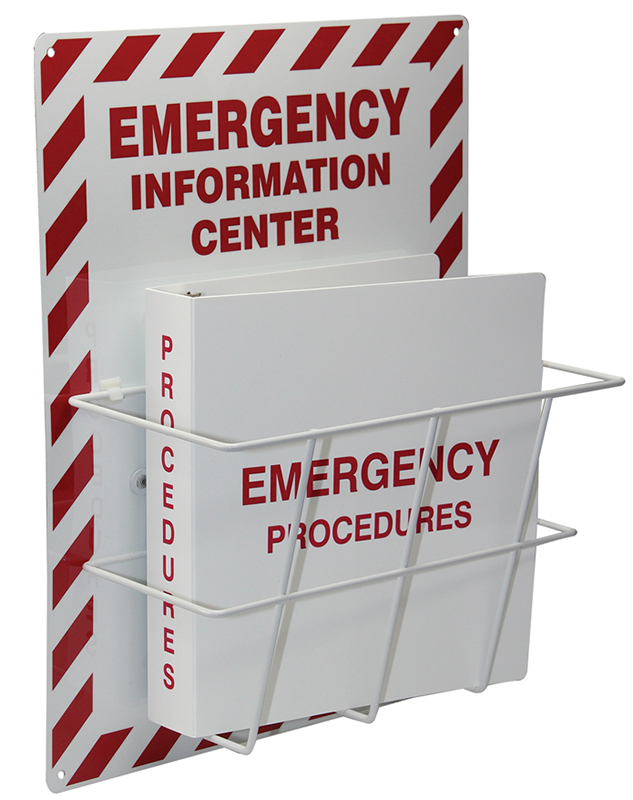 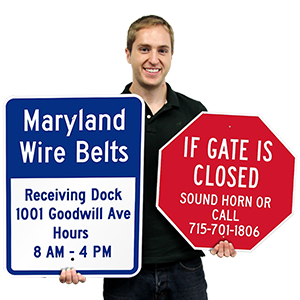 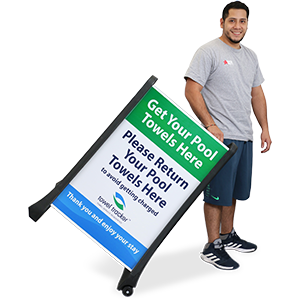 • Backboard sign display is made of rustproof aluminum and has 4 pre-drilled holes.